*** Please park on Flower street along park (there are 2 flower streets) *** This will keep our neighbors happy & keep you from getting towed. Please join us for a traditional Mayan Fire Ceremony at the Enchanted Forest… We will start the evening off with a vegetarian potluck & jam session. Please bring a tasty dish or drink & your noise makers to raise the vibrations. 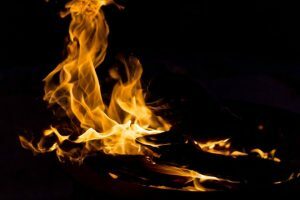 Fire allows for rapid transformation. It is a natural force and a basic element of earth that allows you to leave behind any negative past experiences and allow any healing to enter this newfound space. You are welcome to bring any crystal or sacred items to put it on the altar to hold the energy of the ceremony also, to bring any dish that you want to share with us. Looking forward to being with you around the fire and celebrating our growing community with open hearts. Contributions of $25 for the ceremony is greatly appreciated as this money will be used for supplies for the Ceremony ~ in this way, the ceremony can continue to weave its magic. Luis Romero (Quetzal) has studied for many years with various teachers, communities, and elders to understand the teachings of Great Spirit and the Sacred master plants. The teachings he has received has given him an abundance of intuitive messages and a solid connection with Great Spirit. Luis is a visionary and is determined by unifying the collective to aid in the healing of Mother Earth. He believes that we are all Guardians of the Earth, our original Mother, and we must take care of her while she takes nurtures and provides for us. He intends to integrate the teachings of the natural world and traditional ways of healing to assist the community in remembering that we are all supported by the Divine Creator. 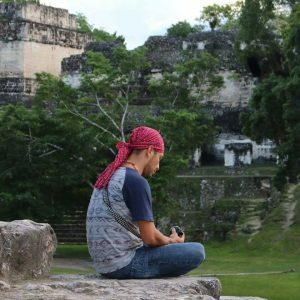 Luis Romero is a traditional Mayan firekeeper and Medicine man, traveling the world to host ceremonies and share his teachings. His spiritual name is Quetzal, from the word Quetzalcoatl which implies the shedding of old skin to emerge as a fully feathered and liberated Quetzal bird. His Name also refers to the awakening of the kundalini as a necessary step toward growth and salvation. His spiritual name was revealed to him during a dream in which he transformed from a hummingbird, passing through sacred fire to evolve into a striking Quetzal bird. This dream offered messages to Luis, guiding him to honor his indigenous roots by connecting with his community to help the collective find purpose in their lives. His father Apolinario Chile Pixtun confirmed the messages of his dream by initiating Quetzal as a healer to his community, following the path of the curandero. Quetzal is devoted to offering guidance to others in the search for their true essence, assisting them to synchronize and heal their mind, body, spirit relationship. All payments are final & will be considered a donation to the event. We thank you kindly.